The quality of a hospital building determines the quality of the health care provided in it. For example, an optimum interior climate will contribute to the performance of its professionals, while also allowing patients to get better sooner. Moreover, a well-designed and well-built hospital will positively affect accommodation and organisation costs. ABT has the knowledge and skills to supervise every step of the design process regarding the hospital building. From the very first drawings to the complete design and the final execution of the project. In addition, ABT advises hospital organisations regarding intermediate renovations or extensions of existing buildings. Our expertise enables us to join forces with our clients to come up with solutions that are not only innovative and flexible, but - thanks to their simplicity - effective, cost-efficient and above all, safe. For the Admiraal de Ruyter hospital in Goes, the Netherlands, ABT supervised the procurement of prefab operating rooms - an innovative and cost-effective approach enabled thanks to the knowledge and expertise of ABT. 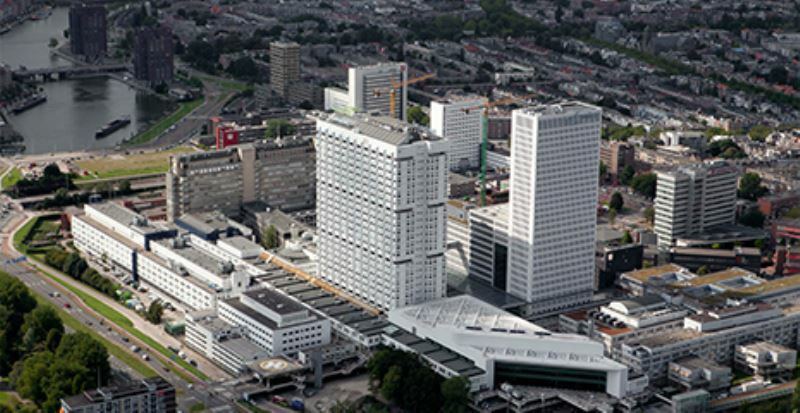 And as the project manager, ABT has been involved in the large-scale renovation and new building of the Erasmus Medical Centre in Rotterdam.